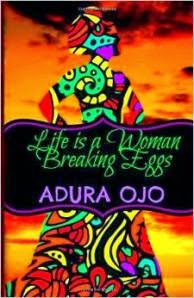 Today, I’m happy to be hosting Adura Oja, writer of lyrical works that makes me wish I had her talent. She’s here to share a little about her book, Life is a Woman Breaking Eggs. Your book has a very interesting title. How did that come about? There were three previous working titles that just didn’t sound right until Life is a Woman Breaking Eggs popped into my mind. The book is divided into three sections: Albumen, Yolk and Woman. I wanted a title that reflected what the collection was about. ‘Life’ is a collection of poems divided into three sections which echo and draw on stages of human consciousness and development: innocence and exposure, the shaping of consciousness and awareness. Over what period did you compile the poems? The collection came into being over a period of three years (2011-2014), writing, rewriting and editing until it was ready for publishing. I started writing in 2004. I was a Freelance columnist with the Sunday Independent, a Nigerian newspaper. Then I began blogging in 2008, and writing more. This is my first book as an author. 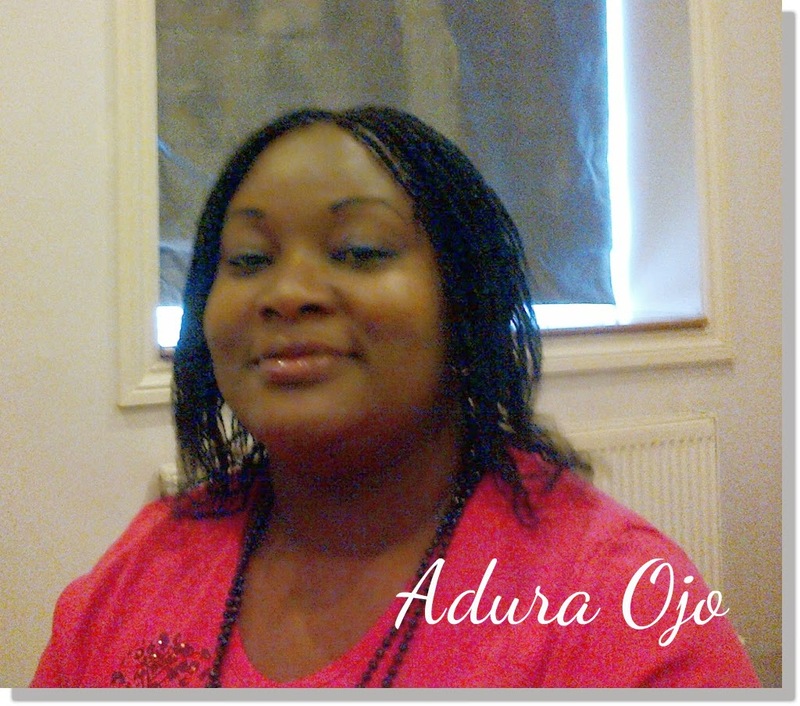 What's next for Adura Ojo? I have a second poetry collection that’s brewing in my mind. It is in conceptualization as we speak. I also have two novels - works in progress. What’s your advice to aspiring authors? I’ve learned never to give up on my goals. I call them goals, not dreams. Goals are practical. You identify what you’re trying to achieve and then build steps toward it. You carve bit by bit until you get there. Would you like to share a poem? Wahoo! Congrats, Adura, on your first book! I love poetry. So nice to meet you, Adura, and congrats on that first book. Perfect advice about sticking with those goals. Nice to meet you too, Susan. Thank you. Doing a little bit at a time helps when working on goals. I remember reading about Adura somewhere else...maybe here on your blog, not too sure...and thinking, what BEAUTIFUL writing. Hi Michelle, Thank you for your inspiring words about my work. I'm currently on a blog tour so I'm being hosted on beautiful blogs by my writer friends. This is my first time on Joy's blog and I'm having fun. I wonder which blog that was. Could it be Denise Covey's blog? Yes, that's right! It was Denise's blog. Thank you for hosting me on your lovely blog, Joy. I'm deeply honored. Congratulations, Adura! I know I can't write that poetically. Thank you so much, Alex. I'm humbled by your feedback. Such high praise. I love the colours in the cover. They remind me of our traditional Metis colours. Congratulations, Adura! Glad that you love my cover Joylene, especially as it reminds you of something so beautiful. The cover image was created by the dynamic, lovely romance writer Kiru Taye. Adura, I'm the one who's honoured to have a talented poet on my blog. Thanks also to everybody who have visited and shared good wishes. Congrats Adura! That is a beautiful piece you shared with us. Cool interview. Excellent premise for poetry Adura, and I love the cover and title. Aww...thanks, Dolorah. Feels great to get such positive feedback. Romance writer Kiru Taye designed the cover. Congrats Adura on your poetry collection. Thanks, RR. Good to know that you enjoyed reading. It's great being here and meeting interesting people. Congrats, Adura. Cheers to much success and more books. Joy, I love the new blog title and page. Wow! I'm loving it too, Peaches!